Dry stone walls are an important feature in the British landscape. Some of the earliest dry stone walls were built thousands of years ago and are still standing today. Each wall is unique and there are even regional variations due to the different stone and the way it is laid. Dry stone walls are traditionally built without cement or mortar and are constructed almost like a jigsaw puzzle, fitting different size and shape stones into place. It is the ultimate in sustainability and means that if the wall falls down, hundreds of years later you can re build it using the same materials. Some regions fill the cracks with earth or rubble, which makes them really sturdy. You can also plant into them with trailing flowers and alpines. Communities are known to come together to mend broken walls. Dry stone walls are also a great way of linking your property to the local area by using local stone. 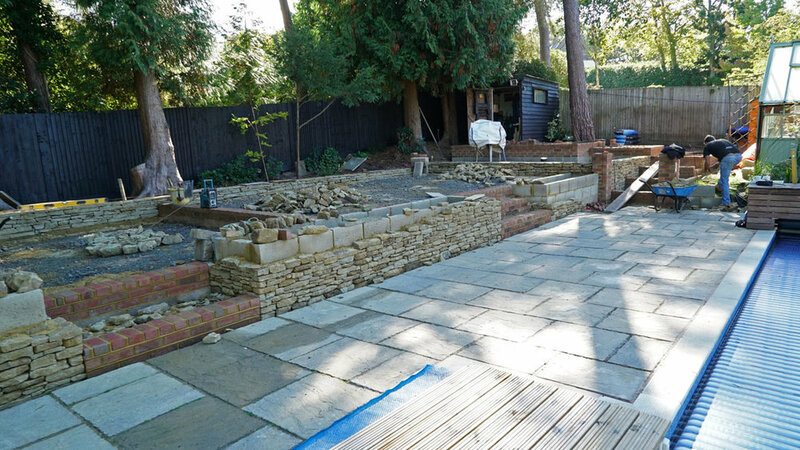 For example, we use a lot of Horsham Stone in our designs. They also age beautifully. Lichen and mosses grown on them naturally and help them settle into the garden without damaging their integrity. They are not just for traditional use and can be used in contemporary designs too - using a stone that has a cleaner finish for example. They can also double as seating. 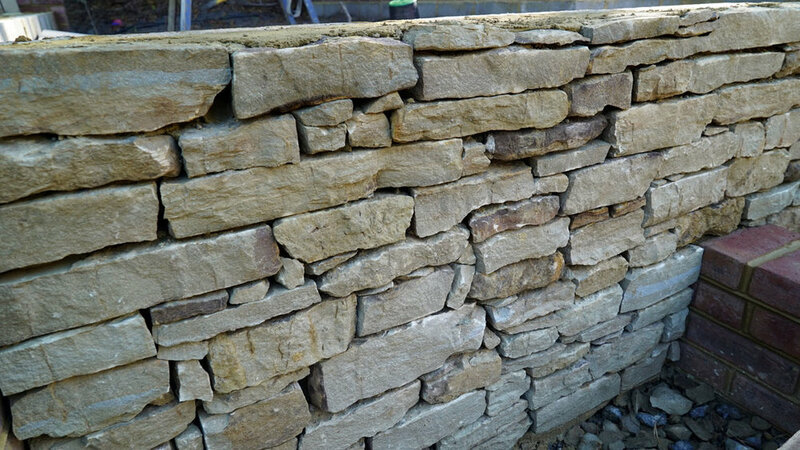 Modern variations of dry stone walling include using block work cladded with natural stone (pictured).